Part 19: Joseph. An entire book could be written on Joseph and, as a matter of fact, the last quarter of Genesis is centered on him. Most of us know the gist of his story. He was a “dreamer” who had dreams that proved to be really annoying to his family and, specifically, his eleven other brothers. While the Bible tells us that Joseph had number of dreams, they always ended in the same way: with his brothers and the rest of his family (mom and dad included) worshipping the ground he walked on. Sounds a bit…I don’t know…egotisitcal and heady, right? His brothers thought so and decided to murder him. Reuben suggested putting him in a well and leaving him to die (with the hope that he could come back and rescue his brother in secret). The others took the suggestion, but Judah offered one even more alluring. He suggested they not kill Joseph at all, evidently while Reuben was not there; rather, Judah suggested that they sell him off, make a profit and pass him off as being killed by a wild animal to their father. So, that is what they did, much to Reuben’s dismay. Joseph was sold to nomads who brought him into Egypt. Long story short, it was his ability to interpret dreams that ironically saved his hide and put him under Pharaoh’s employment. 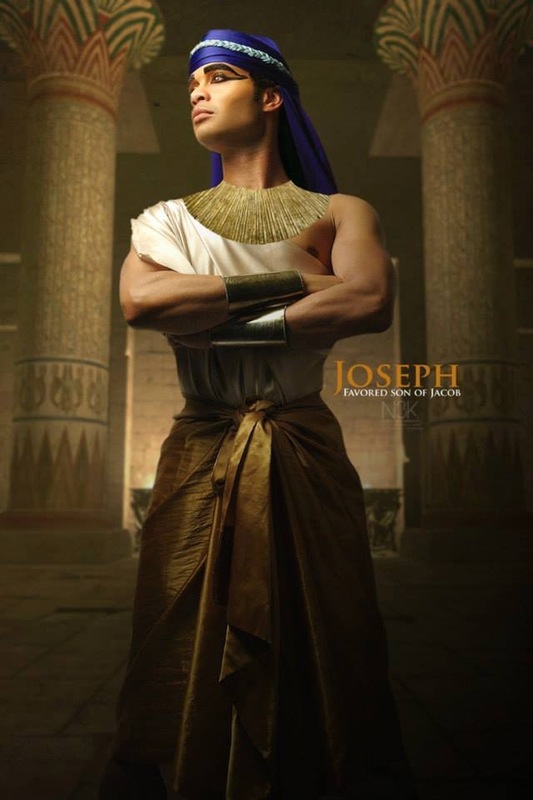 Through his ability to interpret the Pharaoh’s dreams, Joseph rose to be the second in command under Pharaoh. It was through his newfound position and status in Egypt that Joseph found his place in the world and became the savior of his own people. He also became the archetype for the prophet. The prophet both dreams and can interpret dreams. Those dreams tend to have prophetic implications. Those implications end up costing the profit, big league. People reject, abuse, and sometimes kill the prophet, until the prophecy comes true and the prophet (alive or dead) is respected. Yet, what landed Joseph into trouble with his brothers was not so much his prophetic dreams, but his inability to know when to play it cool and chill out on the self-aggrandizing and boastful rhetoric. When one reads the story carefully, Joseph’s prophetic dreams are distorted by his own boasting of his status with his father. Jacob favored Joseph more than the others, to the point where he was giving Joseph fancy clothing to wear and keeping him from having to workt he fields, while his brothers slaved away. Worse than that, actually. Jacob seemingly put Joseph in charge of his brothers and sent him out in his fancy clothing to check up on them and make sure they were doing their work efficiently. Then he was to bring the report back to his father. Let me tell you this, no one likes a supervisor. Especially when that supervisor is one’s snot-nosed, bratty, younger brother. This enraged his brothers so much that they plotted against them. Had Jospeh humbled himself and explained his dream in a way that was less threatening to them, perhaps they would have heard Joseph out and at least given him the benefit of the doubt. We’ll never know, and God brought the good out of what had gone from bad to ugly in one fell swoop. Have you ever been so sure that God was calling you to do somethng that you ended up doing it without ever pausing to wonder exactly HOW it should be done? Have you ever rubbed someone the wrong way due to coming off as boastful or self-aggrandizing? Sometimes we are doing exactly what we are supposed to do; however, we are NOT doing it HOW we ought to! When that happens we can be a hinderance to God’s ultimate plan, rather than serving it’s ultimate purpose. While God can and will bring the good out of any circumstance, let us learn from Joseph, that humility goes a long way in spreading the Gospel. Amen. Without humility, the GOOD News of Jesus Christ looks very, very BAD. Lord, give me the boldness of your prophets, and the humility of our Lord and Savior Jesus Christ. Amen.